Castile and Leon is not the best place for people who have a love for green places. 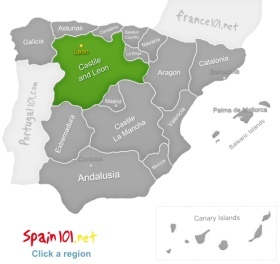 Castile and Leon is a region you go to because you would like to learn more about Spanish history and culture, in the plain vallesy you can sometimes drive for many miles without seeing even a single tree. Of course, there are some natural parks and areas that are incredibly beautiful, but in general you can say that culture and history are the stars of the show in this Spanish region. 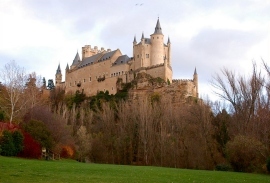 You can find enchanting castles (the sleeping beauty castle apparently has been inspired by the fortress in Segovia), world heritage cities, and some of Europe's most impressive cathedrals. Castile and Leon is perfect if you would like to learn more about how the Roman Empire shaped Spain's culture and history, and if you are on a mission to find out more about your Spanish ancestors, then Castile and Leon can also teach you how it might be possible that you also have Roman blood in your veins. Las Medulas is a great place to learn more about how the Romans influenced Spanish culture and history. It is also quite impressive to see how the ancient Romans used various techniques to do mining in this area. Las Medulas was used as an open air gold mine during the time of the Roman Empire, and it is located in a rather scenic area of Castile and Leon. The mine used to be the most important gold mine for the Romans, and the large scale production of gold from this mine started during the first century AD. 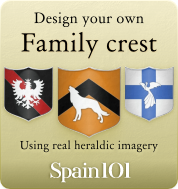 Leon used to be the capital of the Kingdom of Leon (Castile and Leon weren't always one and the same region). It has a fantastic Gothic cathedral (surprise, surprise! ), and plenty of other historical buildings. 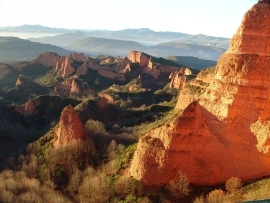 Leon is a great stopover if you would be interested in visiting Las Medulas! Salamanca is a very important city in this region, in historic as well as modern times. Today it is a very active university town and also very popular with visitors. The city has a very rich and varied cultural heritage, and it will take you many days to explore all the city has to offer. The city has two cathedrals, one is a Romanesque cathedral, and the other one is Gothic. What you fit into your visit to Salamanca depends very much on what you are interested in, and if you only have a limited amount of time, you need to plan your time well. There are plenty of architectural highlights, interesting and informative museums, art galleries, and many churches and cloisters that are open to visitors. Segovia is home of the Alcazar (the name is basically used for certain types of castles, and the Alcazar of Segovia is one of the most important once). The first mention of the Alcazar of Segovia was in the 12th century, however, historians believe that the castle might date back to the time of the Roman Empire. 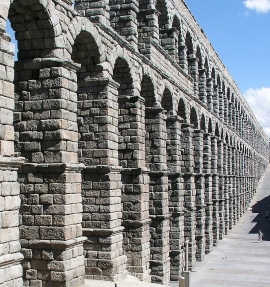 Another sight in Segovia (and probably the most famous one) is the immensely huge Roman aquaduct that can be seen in various places of the town. The city also has an impressive cathedral (great views of it can be seen from the Alcazar!). Avila has a royal monastery, a great cathedral, plenty of churches from various periods of time, art galleries, museums, and plenty of other tourist attractions. The most impressive part of Avila, however, must be the walls that are surrounding the city. The walls that surround Avila are the best example, and best preserved one, too, of city walls in the whole world. If you would like to walk the whole walk, it would be over 2,5 kilometres. There are nine big gates, and two small gates. The wall has 87 turrets and 2500 merlons. The city also claims that it has the highest number of Gothic and Romanesque churches per capita in Spain, this gives it the nickname of “Town of Stones and Saints”. Burgos is another town that impresses visitors with a stunning cathedral. The Gothic Cathedral of Burgos is undoubtedly one of the best examples of this type of cathedral in Spain. There is also a monastery open to the public, a palace, churches (most of them Gothic), and an interesting archaeological museum. Zamora is a great place if you would like to see Spain's largest lake (Lago de Sanabria). Of course, like most other towns in Castille and Leon, Zamora also has its own cathedral. This town has more Romanesque than Gothic churches.